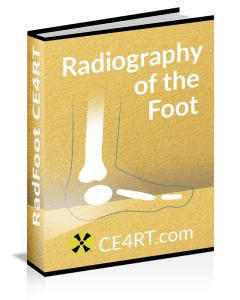 The American Registry of Radiologic Technologists (ARRT*) has implemented a system of Structured Education and Continuing Qualification Requirements (CQR). If you were certified as a Radiologic Technologist before January 1, 2011, the new requirements will not apply to you. However, technologists who first earned their certificate on or after this date have a license that is time-limited to 10 years. Renewing certification for an additional 10 years requires completion of the CQR process. Also, moving forward as of now, R.T.’s who pursue additional credentials using the ARRT’s* postprimary pathwaywill need CE credits based on specific subjects. This is known as structured education. According to the ARRT*, because of accelerating advancements in technology and growing capabilities in the healthcare field, the idea of “Once certified, forever qualified” no longer meets the expectations of patients or the profession. The ARRT* claims that there are a number of important benefits for completing CQR such as confidence building, but mainly that this seems to be a quality control mechanism. However it’s interesting that they are very unclear about what will be accepted and what will not. However, they are careful in their press releases and literature and it seems that they either do not want to cause a panic, or have no intention of failing anyone. So it seems that the real reason for this is to keep everyone on their toes and to appeal to the rest of the medical community and other medical organizations as being strict. The ARRT* has outlined CQR as having three related components. A professional profile. R.T.s will assemble a professional profile that highlights achievements related to education, work, special skills and professional development. This important first step gives a big-picture look at how an R.T. has maintained qualifications since first becoming certified. A self assesment. ARRT* is developing a unique, structured self-assessment process. They state that it is not a test, because it can’t be passed or failed, but more like a survey designed to evaluate strengths and weaknesses in knowledge and skills based on the qualifications expected of those becoming certified in the current year. Assessments will use the current content specifications at that time based upon the most recent practice analysis. Structured CE. Through the self-assessment findings, participants will receive a report listing any “targeted” learning opportunities identified by the assessment. Completing continuing education activities in these identified areas is the third component of the CQR process. The ARRT* wants to take a big-picture look at how your qualifications have advanced since first becoming certified and registered as an R.T. They have said that it as three parts. A reflective exercise, which is an online activity completed by logging on to your ‘my ARRT’ account. It should take 10 to 20 minutes of questions and answers. Based on your answers in the first part, there will be a menu of clinical education resources that may be helpful in brushing up on some of the procedures you don’t often encounter. The resources are free and optional, but are intended as a preparation for the structured self-assessment coming later. About two weeks after you complete the reflective exercise, you’ll also receive a document that compares your experience to those of a typical R.T. practicing in the discipline. This is based on your answers for the most recently completed profile. The ARRT* is not calling the profile survey an exam, because there is no passing or failing. The intention of this assessment is to determine which CE subjects will be required in order to renew the license. An individual’s results in the self assesment will determine which CE subjects shall be required for the individual to complete in order to renew their certification. If you were first certified in 2010 or earlier, you don’t need to do anything. If you are planning to pursue additional credentials using the ARRT*’s postprimary pathway, you will need credits approved in specific categories. If you were certified in 2011 or later, you will need to watch out for your renewal. An R.T.’s compliance phase with CQR will begin seven years into the initial 10-year certification period. For example, for R.T.s earning certification in 2011, the compliance phase can begin in 2018, allowing three years to complete the professional profile, self-assessment and targeted continuing education by 2021. Because this is still some time in the future, all the details are not yet clearly put forth by the ARRT. Stay tuned to this site and we will update this page as more details become available to the public. Learn more about ARRT* Examination Content Specifications and CQR Structured Self-Assessment Content Specifications. Tests judge performance by delivering a passing or failing score. Assessments, on the other hand, mentor and guide professional development. No pass/fail or win/lose scenarios factor into assessments; it’s win/win because the process rewards knowledge already in place and reveals opportunities for self-improvement. How is the assessment’s content determined? Assessments will be built on content specifications from the most recent discipline practice analyses that are in place when the individual is approaching their CQR process deadline. The content reflects the knowledge necessary to perform the role for which certification was awarded. It reflects expectations for entry-level practice in the most current year. How is targeted CE different than biennial CE? Currently, R.T.s may choose any topic for biennium CE regardless of relevance to their particular discipline – as long as the CE is Category A or A+. CQR CE will be more prescriptive in that it will be specific to the discipline(s) of certification and tied directly to the content specifications.Since assessments are structured using discipline-specific practice content outlines, weaker areas of knowledge can be pin-pointed and linked back to a specific area of content knowledge. R.T.s will receive personalized assessment findings, outlining strong and weak areas. ARRT is working with RCEEM’s over the next several years to develop criteria for CE activities that remediate – or educates on specific (targeted) topics. Will I still need to complete biennium CE in addition to targeted CQR CE? The biennial CE process remains a fundamental component of maintaining certification and registration. In most circumstances, CQR CE will be able to be applied to applicable biennium CE. Registered Radiologist Assistants (R.R.A.s) certifications have always been time-limited and the CQR process begins in 2013.